Every year on November 11, Americans celebrate Veterans Day. However, few Americans know the history behind the patriotic day. 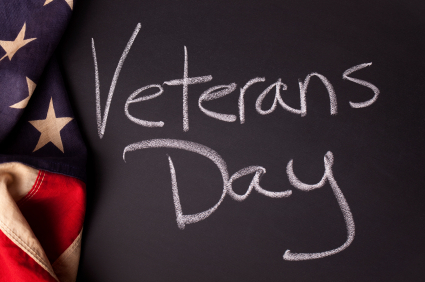 Veterans Day is celebrated annually with school closings, barbecues, and parades. Aside from the festivities, a closer look at the history of Veterans Day offers a deeper understanding and appreciation of the national day to honor those who have served in the U.S. armed forces. Veterans Day was initially known as Armistice Day and was created to commemorate the end of World War I, “the war to end all wars.” Although World War I did not officially end until the signing of the Treaty of Versailles, November 11, 1918 is hailed by most as the end of the Great War. On November 11, 1918, all armed conflict between the Allied Nations and Germany halted on “the eleventh hour of the eleventh day of the eleventh month,” when an armistice was agreed upon (“History of Veterans Day”). The first Armistice Day, declared by President Woodrow Wilson, was celebrated on November 11, 1919, with observation of the holiday commencing at 11:00 a.m. However, Armistice Day was not legalized as a federal holiday until 1938 (known as the Act of 1938) (“History of Veterans Day”). By the year 1954, Congress made the decision to amend the Act of 1938 to honor all U.S. veterans having served in all wars and to change the name from Armistice Day to Veterans Day. The original intent for creating such a national holiday was to promote a widespread honor and respect for peace and for veterans who had served in the military. Today, Veterans Day focuses on the importance of honoring all living veterans and those currently serving in the military (“The History of Veterans Day”) . It is a day to contemplate the ghastly psychological effects war has had on our veterans. Many suffer daily due to traumatic experiences that had occurred while serving our country. Military service is responsible for most cases of PTSD (Post-Traumatic Stress Disorder) in men. It is a sad fact that nearly 22 veterans commit suicide daily (Basu). In veterans having served in the Afghanistan and Iraq War, PTSD affects almost 30 percent (Smith, Robinson, and Segal). Veterans are a much deserving group to be remembered and honored. Veterans Day is a truly significant holiday to be commemorated and celebrated. Basu, Moni. ‘Why Suicide Rate Among Veterans May Be More Than 22 A Day – CNN.Com’. CNN. N.p., 2015. Web. 3 Nov. 2015 . <http://www.cnn.com/2013/09/21/us/22-veteran-suicides-a-day/&gt;. Military.com,. ‘The History Of Veterans Day’. N.p., 2015. Web. 3 Nov. 2015 . <http://www.military.com/veterans-day/history-of-veterans-day.html&gt;. Va.gov,. ‘History Of Veterans Day – Office Of Public Affairs’. N.p., 2015. Web. 3 Nov. 2015 . <http://www.va.gov/opa/vetsday/vetdayhistory.asp&gt;.